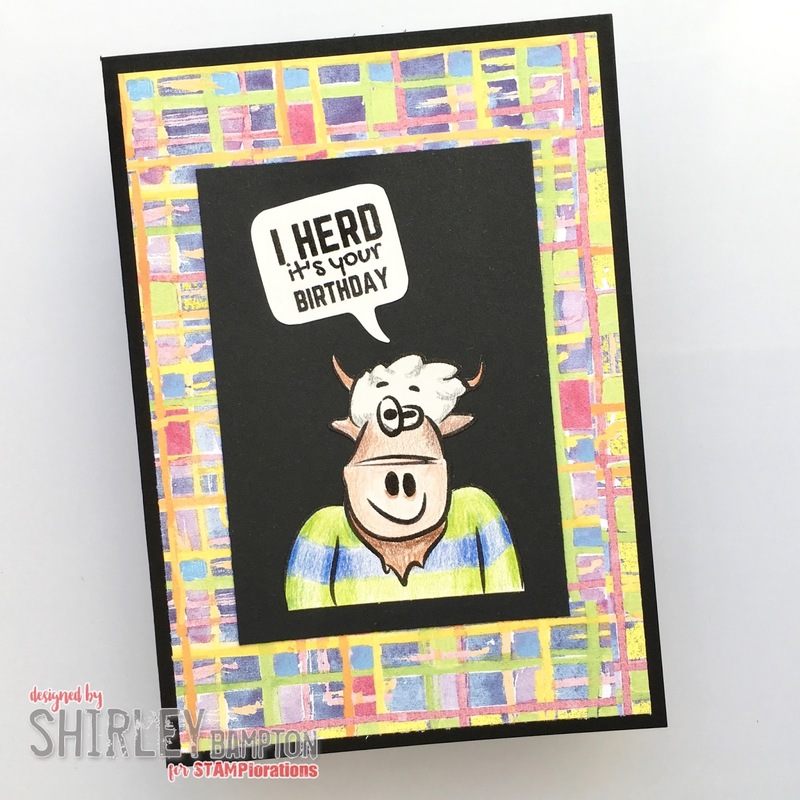 I coloured this guy with pencils, fussy cut him then mounted him onto black card, which was mounted onto patterned paper, which was mounted onto black card. I used a die cut for the sentiment. 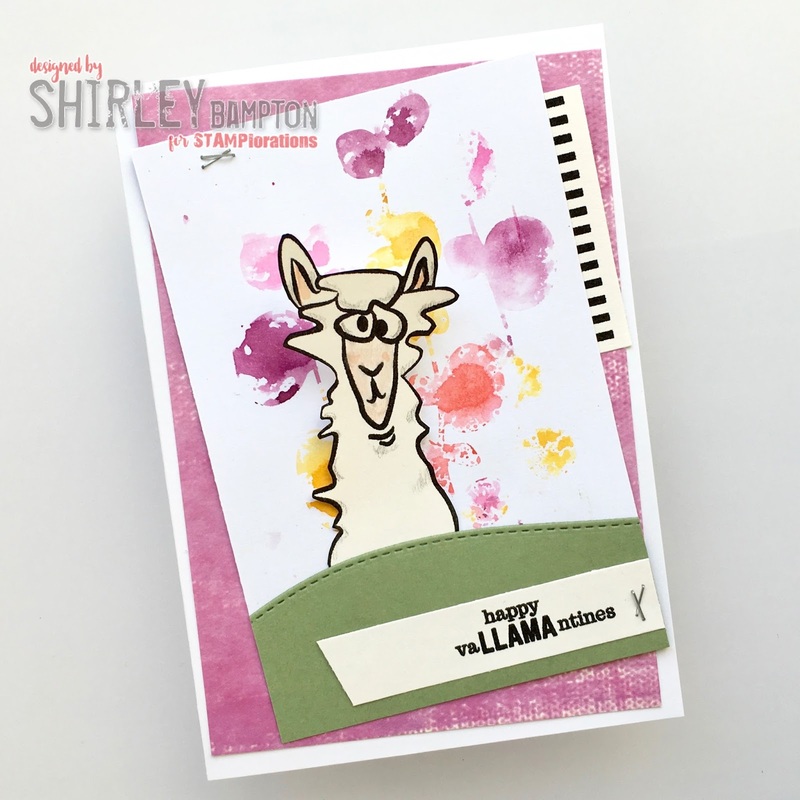 For my second card, I added a bit of colour and shading to the llama then fussy cut her, and place her so that she's peeping over the hill. The background is a mop-up from Sanna's stencil. The upper part of the llama image isn't attached, and I've curved it forward a little so that it's a bit more in-yer-face. See? Pop on over to the STAMPlorations blog for some more fabulous inspiration using this set, and don't forget to leave a comment for your chance to win. Enjoying this mini hop featuring a delightful new set! Fun sentiments and critters... the llama is just adorable! Love your cards! Cute cards you made with this fun set. 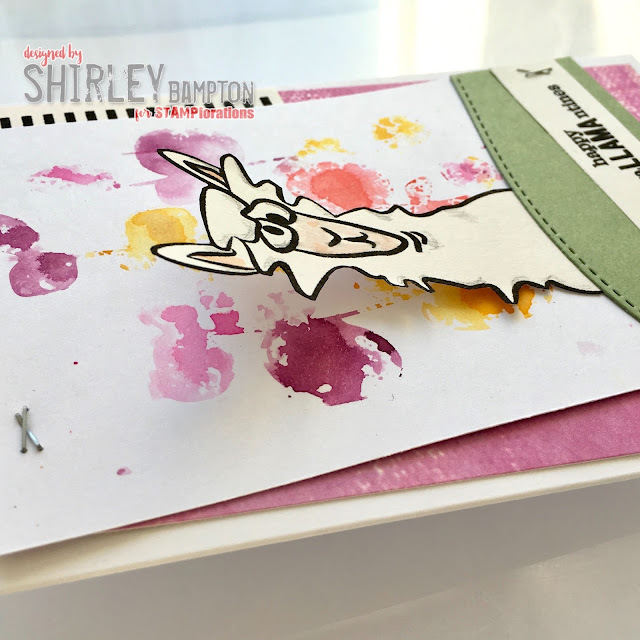 Your cards are so fun and I love that llama tee-shirt! The cards are fun and quirky! Love it! 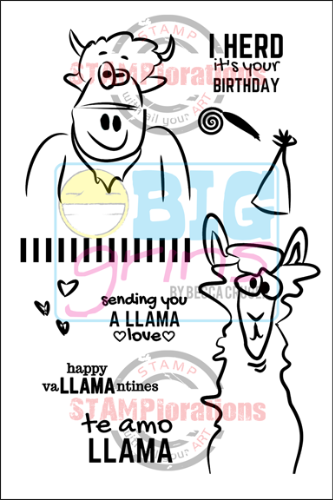 Super cool stamp and fun creation! Fabulous cards love the images. Love that "in-yer-face" technique. :) These cards are so cute. Lol, that one llama looks like he's posing for his 5th grade school picture! Love these funny cards. put him in the spotlight. Both are great designs!